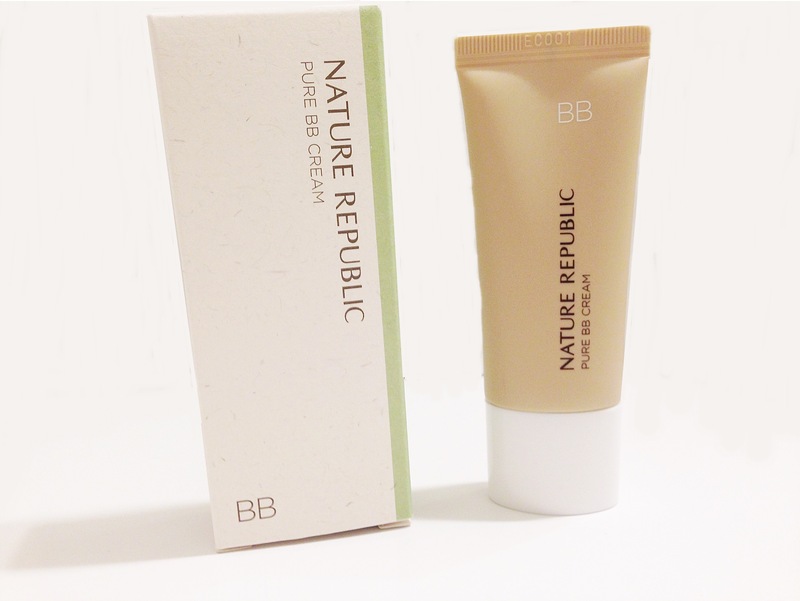 I’m pretty sure Nature Republic is one of my favorite Korean skincare stores, so I decided to pick up this BB cream for $9.90 at the Nature Republic store in Flushing! For only 15 ml of product, $9.90 seems kind of expensive, but I bought it anyways to try it out. I don’t know what’s going on with me, is it the stress from high school? But I’m breaking out a lot and I have many red spots on my face, so I need a BB cream to cover up my blemishes. 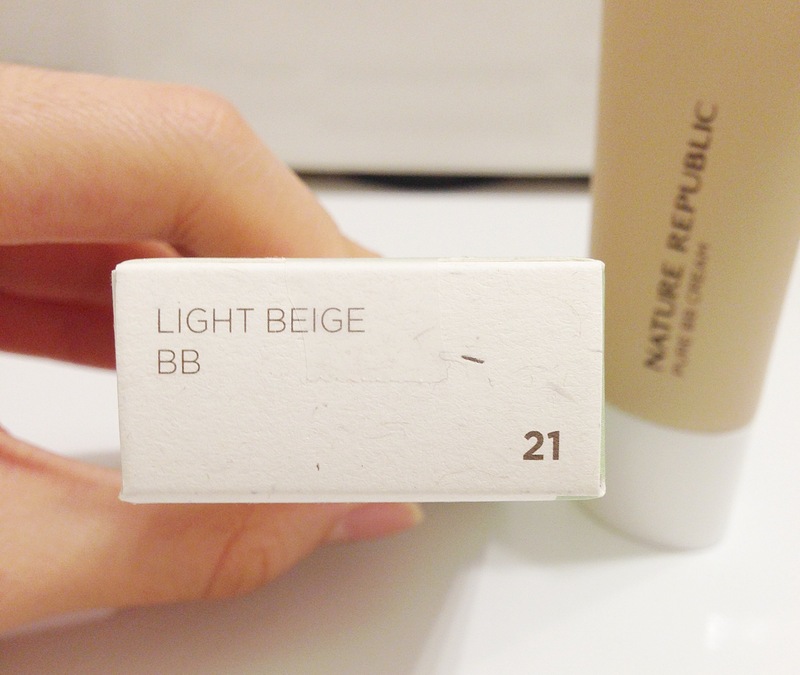 I tried to find other reviews online on this specific BB cream but there are very few. Let’s start off with the packaging as usual! I’m in love with all of Nature Republic’s packaging of their products. The earthy colors… I’m just loving it!! And the same can be said with this BB cream! And here are the sides of the box with the list of ingredients and description. The BB cream provides a healthy skin tone with its excellent adherence and high coverage. At the last step of skin care, apply an appropriate amount to the entire face in a gentle tapping motion to achieve natural makeup. The tip where the cream is squeezed out is very narrow and pointed. For me, the color was perfect for my skin tone! It blended in with the rest of my face easily and looked very natural. 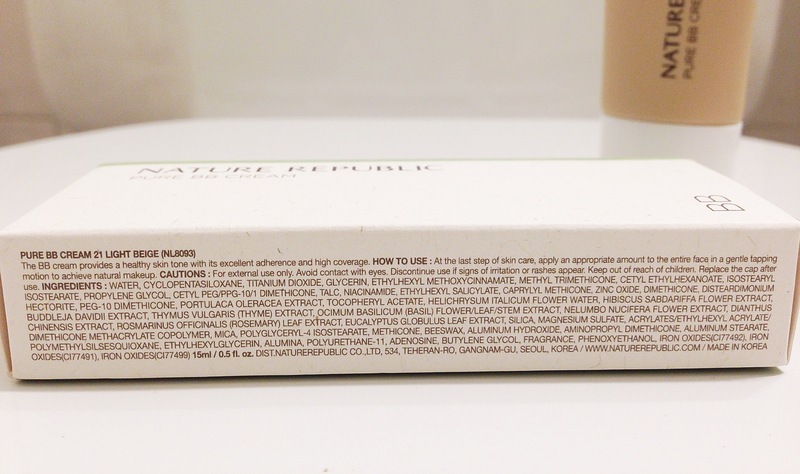 But I think my favorite part of this BB cream is its texture. It has a very light texture that makes it just smooth onto your skin so easily. 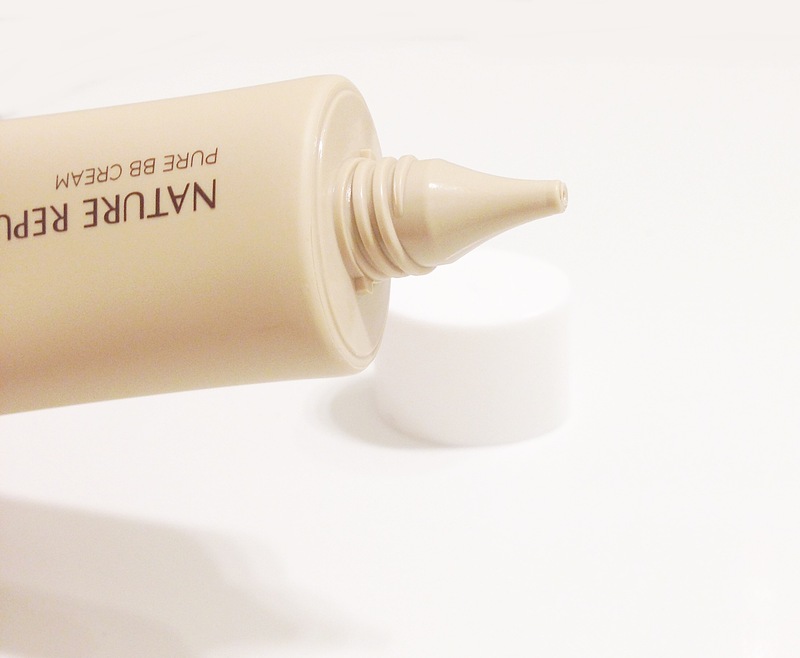 It blends into your skin so nicely and quickly and feels very light while providing considerable coverage. It definitely covered up my redness and some of my pores, but on some areas like my forehead, it looked cakey and didn’t really adhere well. Another complaint I have is the oiliness. It isn’t super oily or anything, but when I blot my face, I can see that my face was oilier than usual. Overall, I think this product was pretty decent. It’s texture was amazing and light, but didn’t adhere well on some areas of my face. I would probably use this, but would definitely switch to another BB cream if I find something better. I nominated you for creative blogger and versatile blogger awards 🙂 check out my blog for the post about it. Oh I have oily skin too so this probably will not be good for me! Thanks for letting us know! Yeah the struggles of having oily skin… Glad I could help! Nice review! I actually really want to try a korean brand BB cream because ive heard so much about them but there arent any stores that sell korean products near me. Aerie recently started carrying the bunny lip glosses by Tony Moly lol. When i saw i literally laughed out loud and the workers just kind of looked at me. Haha omg! Yeah it is kind of funny when American stores sell Asian stuff! Lol one time I was in a Target in Flushing and they were selling these Asian egg noodles! I started laughing and just like for you, people started staring at me!